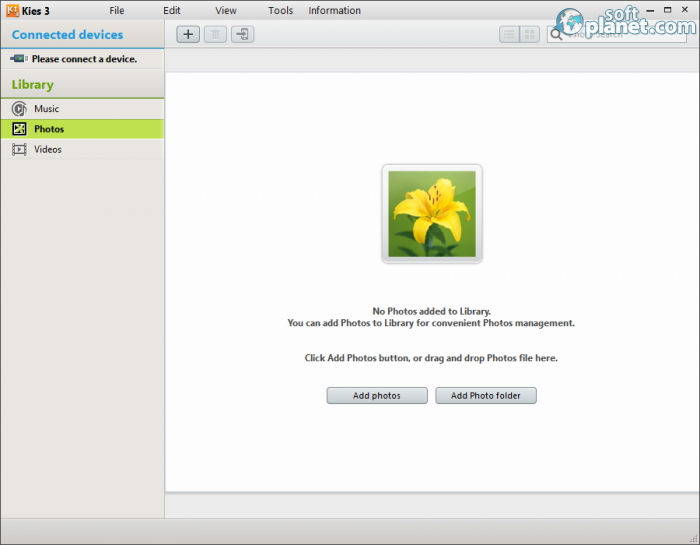 SoftPlanet makes it possible for everyone to get free Samsung Kies 3 download directly from our servers. There is no registration needed for downloading. Samsung Kies 3.2.15041.2 is software developed as a toolkit, which enables you to connect your Samsung mobile device to a PC and manage its content. 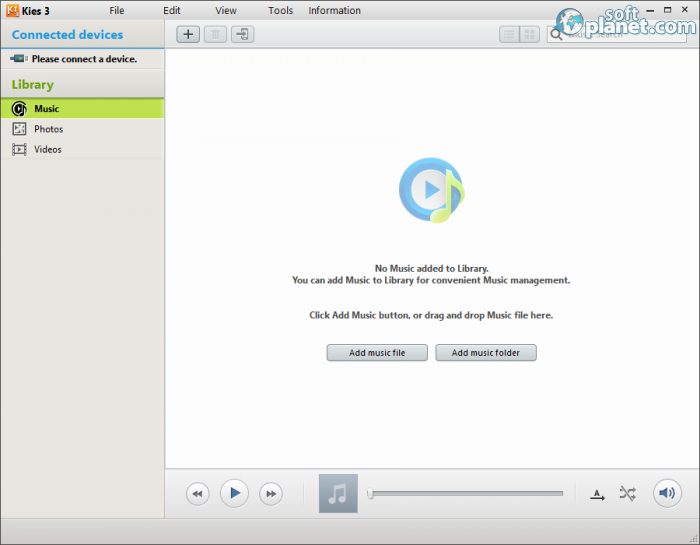 You are able to copy videos, photos and music. You can even back up your contacts or any other important data. The application is distributed for free. 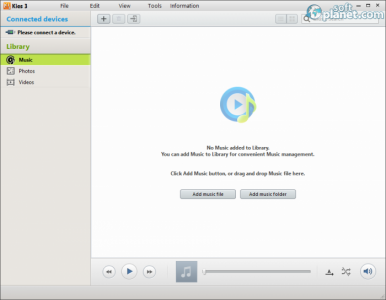 The software enables you to sync photos, music and videos easily. However it even provides you with the ability to find thousands of apps from the Samsung Apps store, which you can install right from your desktop machine. While you explore you can add them to a wish list and download them later on when you are ready to do it. 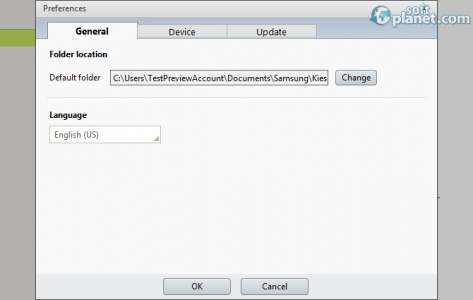 Samsung Kies lets you set your smartphone to show you only apps that can run on your handset. The interface of the application is very simple. Basically, all you have is a sidebar, which allows you to navigate through the menus, a toolbar, a search bar and a main workspace. The design is extremely clean and refined. You will get used to it even from the start, which makes it very intuitive actually. The main window of the application can be resized or put on full screen in order to match your screen size perfectly. Working with Samsung Kies 3 is such pleasure. You simply need to connect your handheld device and start exploring apps, manage your content, etc. Each one of the tasks that can be performed with this software is very streamlined. During the entire test Samsung Kies 3 doesn't show some major bugs or breakdowns. It seems to be a staple piece of software engineering. Samsung Kies 3 is the ultimate software application for your Samsung mobile device, not only because it comes right from the manufacturer, but also because it has all features you need to manage your content. It is absolutely free of charge. Samsung Kies 3 is VIRUS-FREE! 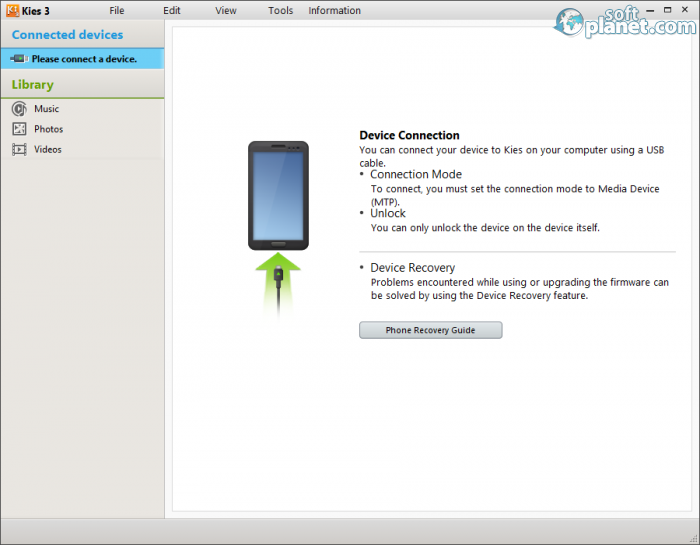 Our security scan shows that Samsung Kies 3 is clean from viruses. The current version of Samsung Kies 3 has been scanned by our system, which contains 46 different anti-virus algorithms. That ensures that Samsung Kies 3 3.2.15041.2 is 100% safe for your computer.